SANTA CLARA, Calif.--(BUSINESS WIRE)--With fan safety emerging as the day’s big winner, Mutualink is celebrating a victory off the football field as part of the highly-successful security operation for Super Bowl 50. Mutualink’s communications platform enabled secure, real-time collaboration and information sharing among local, state and federal agencies, as well as private entities such as utilities and mass transit. 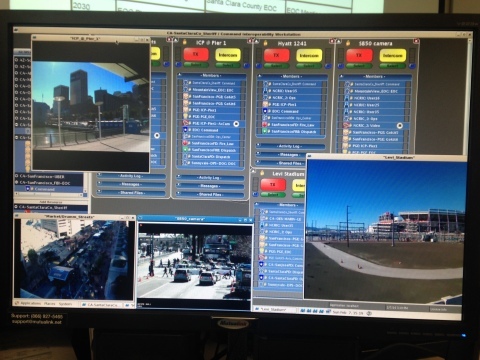 The technology provided unprecedented situational awareness to law enforcement – from Super Bowl City in San Francisco, to media day in San Jose, to the big game in Santa Clara – protecting nearly 2 million football enthusiasts who converged on the Bay Area last week. Approximately 50 devices, including Sonim smartphones, running Mutualink Edge™ were used by SWAT team leaders and other officials in the field, enabling them to share information instantly with the Joint Information Center. Interoperable communications over Band 14 network utilizing Converged Wireless System (CWS) base station with integrated backhaul and orchestrated by HetNet Gateway -- both from Parallel Wireless. Secure sharing of information gathered, analysed and flagged by Haystax Technology software from public safety officials' mobile phones and other sources. With fan safety emerging as the day’s big winner, Mutualink is celebrating a victory off the football field as part of the highly-successful security operation for Super Bowl 50.